BOOK | Many know naturalist John Muir as the driving personality behind federal protection for Yosemite National Park. 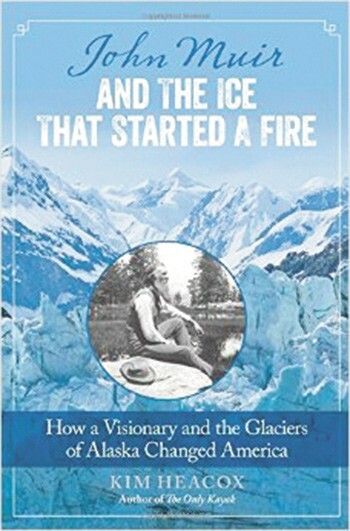 But a new biography, JOHN MUIR AND THE ICE THAT STARTED A FIRE, explores Muir's love of Alaskan glaciers. Author Kim Heacox skillfully pulls from Muir's journals to lead readers through a vibrant, rugged country — following an almost giddy Muir on cold canoe trips and mountain ascents. Though it might seem dull to follow an old man through fields of ice, the book gives Muir new life by drawing his legend into a narrow focus around his affinity for Alaska. Amid an increasingly urgent debate on climate change, Heacox also shares Muir's prophetic early warnings about receding glaciers and environmental upheaval. APP | Remember those red plastic rotating View-Masters that let you click through little paper wheels of 3-D photo slides? Google has just combined the simplicity of cardboard and the functionality of smartphones to rig up a poor man's virtual reality set. With GOOGLE CARDBOARD, an app converts videos or virtual tours into a split-screen image. Put the phone into your cardboard goggle set and enjoy a 3-D twist on streaming images and games. The app works with Google Street View, and a Canadian travel company has started offering virtual tours of the British Columbia coast using the technology. 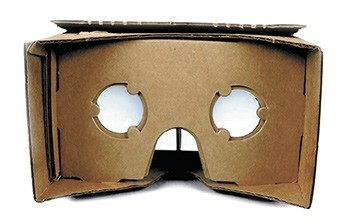 The app is free, and you can buy a cardboard viewer for about $20, or build your own.